Premium cotton t-shirt with a shoal of sardines available in heather grey, with or without text Lisboa. 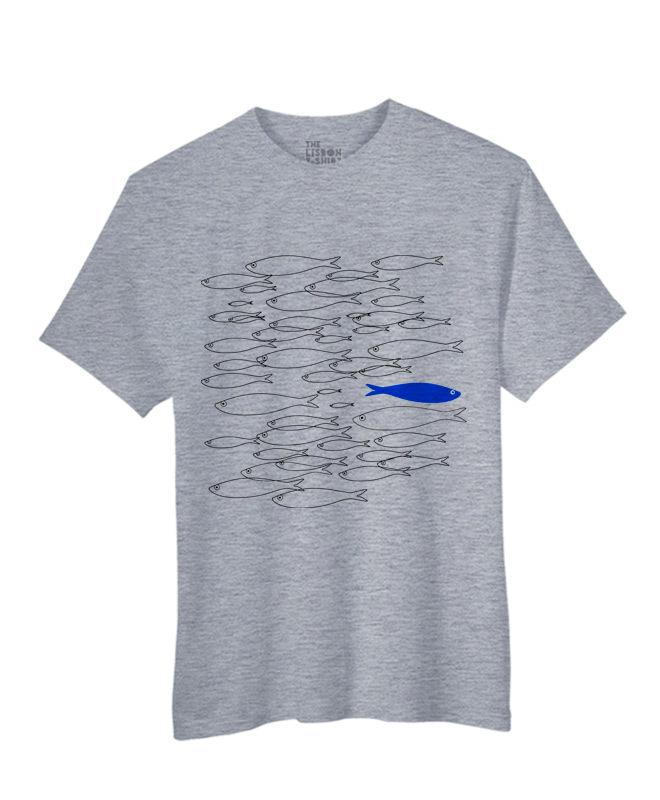 The sardines are traditionally silver but this shoal has a blue one. 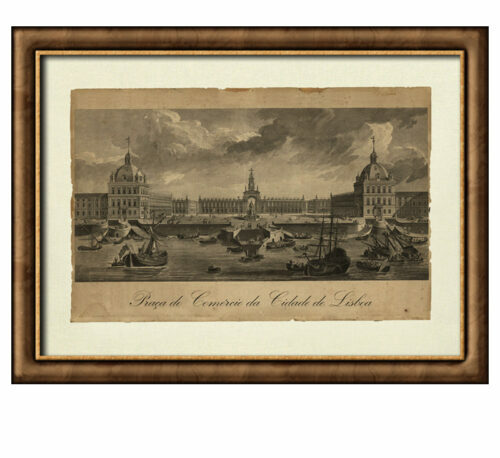 The sardines are very popular in Lisbon special during the month of June. 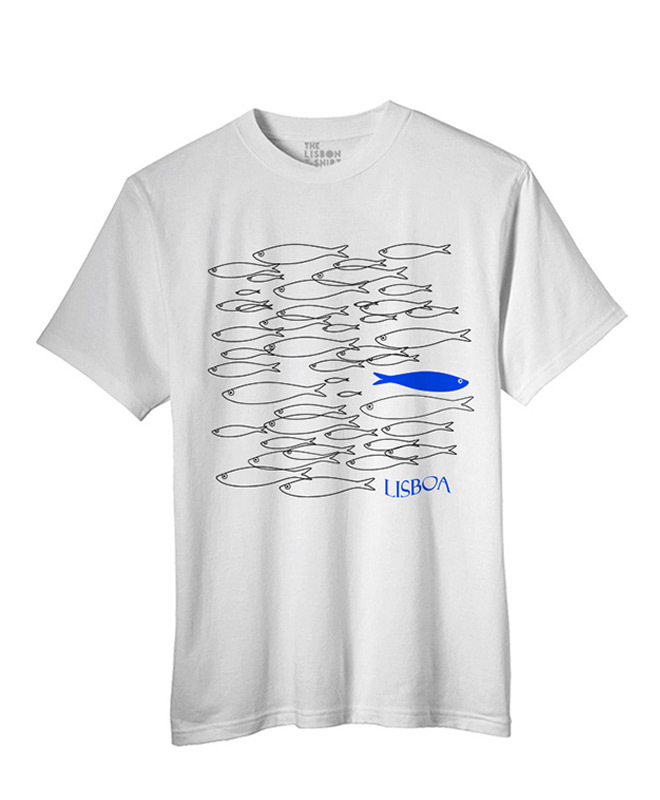 This beautiful cotton T-shirt with a blue sardine is an original by Portuguese artist Luís Val. 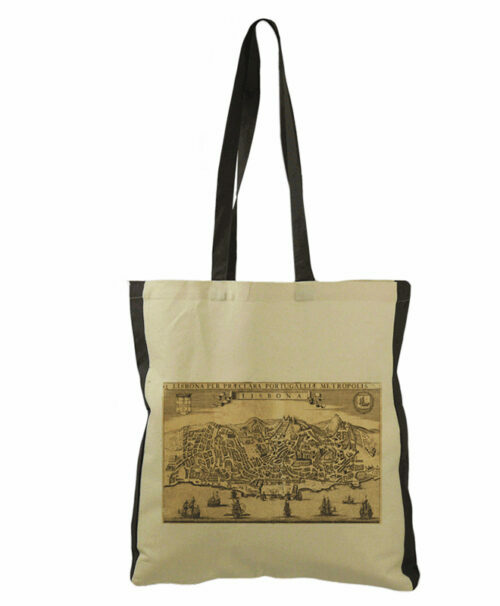 Is available in heather grey and white with or without text Lisboa. 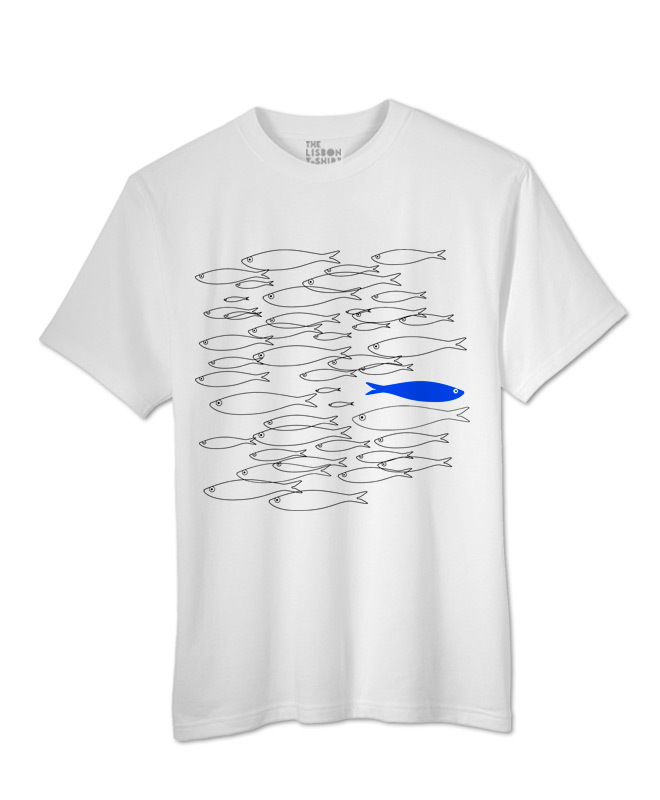 Get to know the “Sardines Collection” that includes t-shirts, bags, aprons, coasters, trivet, a light and a notebook.